Mon., May 21, 2018, 7:39 a.m.
A GRIP ON SPORTS • No, I’m not old enough to remember the birth of the New York Mets. But I was around during the miracle summer and fall of 1969, when, less than a decade after the franchise was born, it reached the pinnacle of success. Now we realize the Mets weren’t miracle workers, they were slackers. Read on. 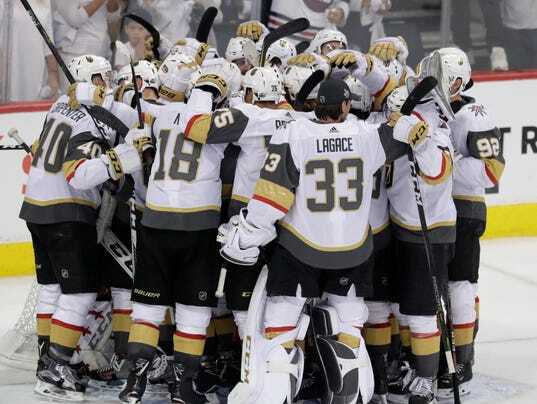 • The Vegas Golden Knights would like a word with you about the “miracle” moniker the Mets earned 49 years ago. After all, it took New York years of stumbling around the National League desert before it found the promised land. The Knights? They have already found it. In their first year. And they didn't have to leave the desert. Yes, an expansion team in a professional sports league will be playing for the league’s title. Talk about manna from heaven. How the heck does that happen? Well there are reasons, of course, as the New York Times lists this morning. But that type of discussion just gets in the way of enjoying the moment – and looking to the future. Seattle may be the next city that receives an NHL expansion franchise and the good folks on that side of the state will want a deal similar to what the league gave the Knights’ owners. For half a billion dollars, or whatever it will take to bring a third professional sport to Washington, they better get it. 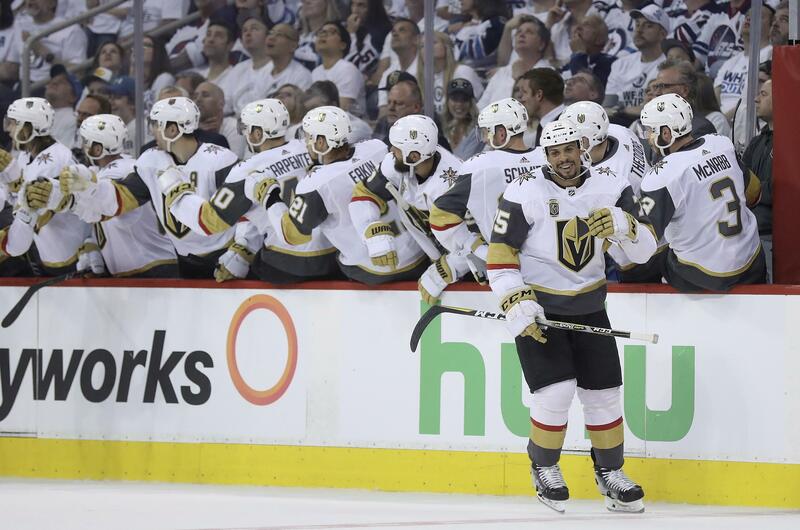 Las Vegas was able to pick the best second-line players from every team in the league, giving it a strong contingent of just-about-to-make-it players. Or solid backups who were looking for a chance to show what they had. The pool was stacked, so the Knights became pretty stacked as well. And they also robbed other teams of a bit of their depth. It was a win-win. And all they did was win, win and win. One of the best regular season records in hockey. A Pacific Division title. Three consecutive postseason series. And now a chance to play for Lord Stanley’s cup. Pretty remarkable. • The NBA playoffs are finally starting to wind down as well. The Warriors unleashed another weapon on the Rockets last night, one that hadn’t been featured in the series’ first two games. A guy named Steph Curry. That’s a pretty nice gift to pull out of the bag, isn’t it? Curry had a third quarter that could be called nothing if not rocket-like, blasting off with 18 points including a handful of long range jumpers, many in transition. And Houston had a problem dealing with it. On the other side of the country, some were counting LeBron James, er, the Cavaliers, out after losing twice in Boston to the no-name Celtics. But an NBA playoff series really can’t be defined by home wins. It is the road breakthroughs that matter. The Warriors have theirs. Boston is still searching and as long as James is wearing whatever color Cleveland has on its jersey on a given night, it won’t be easy. WSU: Around the Pac-12 and all of college sports, the recent Supreme Court sports betting ruling will challenge athletic directors, if their states decide to go in that direction. There is money to be made, so I’m guessing it will happen everywhere sooner than you might think. Gonzaga: The Bulldog baseball team will head to the WCC postseason tournament as the two seed following its 4-3 regular-season ending defeat against Santa Clara. Justin Reed was at the longest-named college baseball field in the nation and has this story. (Actually, I can’t vouch for the truth of that statement, but the Patterson Baseball Complex and Coach Steve Hertz Field has to be up there.) … Elsewhere in the WCC, the BYU Cougars expect to be a force to be reckoned with next basketball season. CCS: The Sasquatch will be playing in the NWAC championships for the first time in more than a decade after winning their super regional yesterday. Mariners: A couple of things happened in yesterday’s game against the Tigers at Safeco: The M’s were impotent for the first six innings or so, but Wade LeBlanc – has there been a more unexpected crucial contributor? – and the bullpen kept them in the game; and Mitch Haniger tied it with a two-run bomb in the bottom of the ninth. Which produced extra baseball. In the 11th, Jean Segura drove home Dee Gordon with the game winner and Seattle was 27-19 on the season, just two games behind Houston in the A.L. West. … Thanks for the advice Mitch, but if a player leaps into my seats at Safeco, he must be Superman. I sit so far away it is never going to happen. Seahawks: OTAs begin today and there are questions to be answered. Published: May 21, 2018, 7:39 a.m.